As you probably know, I am pretty much into OpenStreetMap and digital maps. 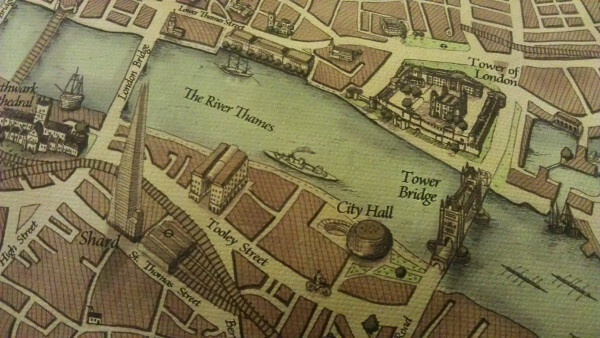 I have always found (paper) maps, and different visualisations fascinating. 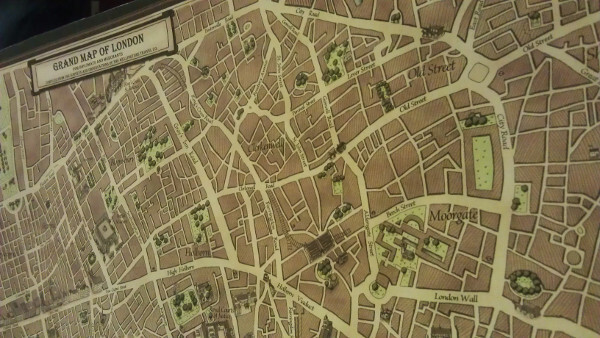 I found myself at London GeoMob last Thursday where I encountered two types of non-digital, non-paper maps. I am even more excited about a second project: SplashMaps. At some point you probably have been in a situation where you were out and about walking somewhere in a city or the country and you had to find your way. In cities you can often ask people and/or get our your phone, but that doesn't cut it when you are on some remote hill in Scotland. You need a paper map (for more than one reason!). And of course, it is always raining (we're in Scotland after all!). 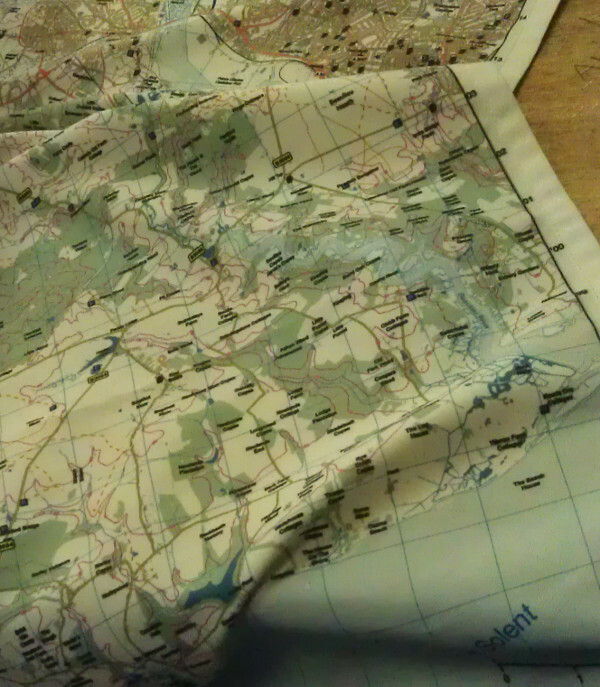 Ordnance Survey will sell you laminated Explorer Maps for this, which have saved me quite a few times. However, they are bulky and the place that you are looking for is either always on a fold, or on the opposite site of the map! The maps are specifically made with walking and cycling (in national parks) in mind, so it has all the features that are important: paths, bike repair shops, bogs and pubs (and a lot more!). They are currently running a funding round on KickStarter and I would urge you to check them out. I have backed the project and looking forwards to getting my maps for my favourite parks... I do need to think about which ones they are!